Medicine balls have been around for thousands of years. Hippocrates, otherwise known as the “Father of Modern Medicine,” is said to have stuffed animal skins for patients to toss all the way back in 400 BC. Fast forward a few thousand years, and today medicine balls are one of the most popular fitness tools seen in nearly every gym and physical therapy center around the world. The beauty of medicine balls lies in their versatility. They can be used for throws, twists, slams, swings, you name it. If you have a home gym, or you’re thinking of simply investing in some of the best at home exercise equipment for when you can’t make it into the gym, a medicine ball needs to be in your inventory. While it might seem like medicine balls are a fairly straightforward piece of equipment, there are actually several different types to choose from – so depending on what you plan to use it for, one may be better than another for your personal needs. The SPRI Dual Grip Xerball is preferred by most people because its unique dual-handle design makes it the most versatile ball, but use our comparison chart and reviews below to figure out which is the best medicine ball for you. What movements will you be doing? How often will you be using a medicine ball in your workouts? If you’re under the impression that a medicine ball is just a medicine ball and they’re all the same, I have some news for you: they’re not. The SPRI Dual Grip Xerball is a great example of this. SPRI is a trusted name in fitness equipment and manufactures a wide variety of equipment from dumbbells and kettlebells to resistance bands, medicine balls and floor mats. But what puts the SPRI Dual Grip Xerball in the #1 spot? 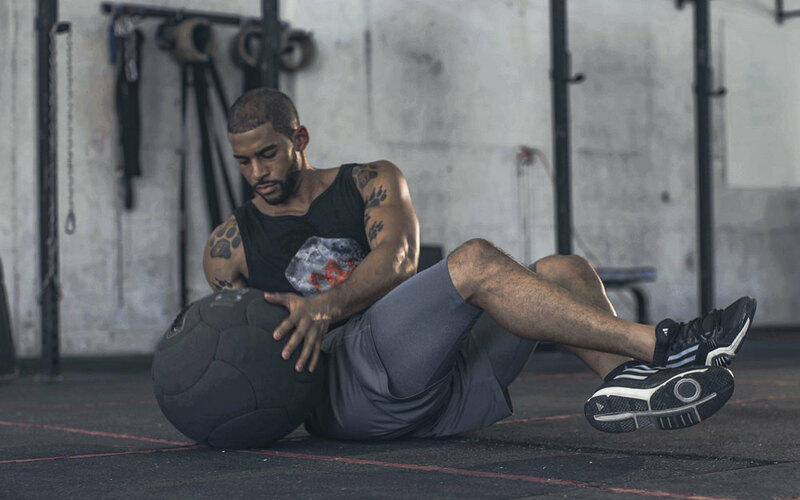 Well, besides being extremely durable, available in a variety of weights and manufactured by a trusted brand, this ball has built in handles, making it by far the most versatile medicine ball out there. Now, medicine balls with handles aren’t uncommon. However, the handles on other brands are generally either flimsy and poorly constructed or make handling the ball for other exercises awkward. 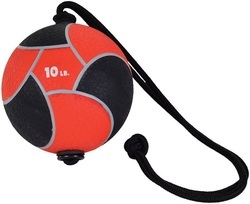 These often include nylon handles strapped to the side with plastic grips or a single handle attached to the top, rendering the ball exactly as useful as a kettlebell. 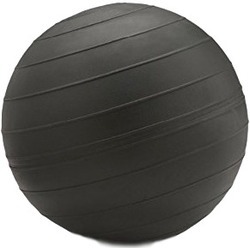 The handles in the Dual Grip Xerball are carved out of either side, maintaining its spherical outline to prevent awkward handling during exercise. 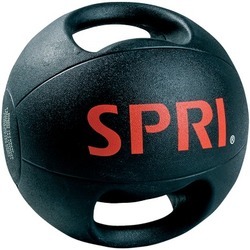 In addition to performing medicine-ball-specific movements, the handles on the SPRI ball allow you to perform exercises that would be traditionally performed with a kettlebell or dumbbell. Swings, curls, presses, flyes, kickbacks, rows and several other movements usually not available to safely and comfortably perform with medicine balls now become possible and convenient. As far as features and details go, the SPRI Xerball has a synthetic rubber PVC covering and is filled with air. It has very minimal bounce, so a dropped ball during an exercise won’t end up in a crack in your drywall and light throws are achievable without an erratic rebound. 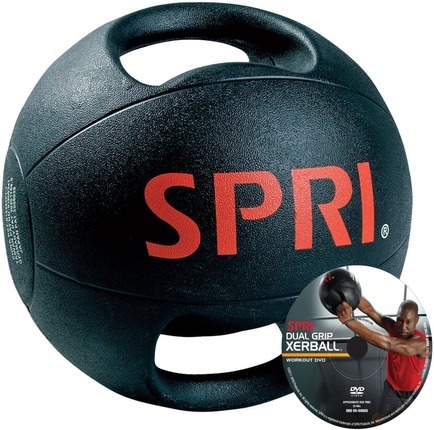 For an extremely versatile medicine ball that will kick your workouts into gear, the SPRI Dual Grip Xerball is going to be one of your best bets. The prices aren’t too bad either considering the quality of this ball, check out the current prices for each weight level. 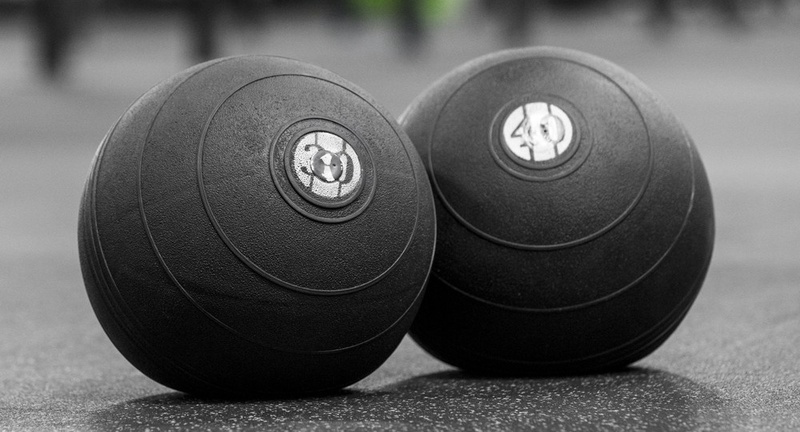 This thing is likely the toughest medicine ball you’ll come across. 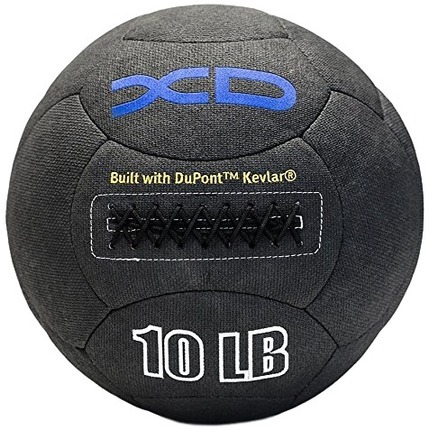 Tacky grip, built to last, available in weights from 4lbs – 50lbs and no bounces in sight – the XD Kevlar Medicine Ball is one of the best out there. The reason this ball is in the number 2 slot is because it simply lacks the versatility of our top pick. The lack of handles limits what you can do with this ball and it takes out a ton of possible exercises. However, this ball can do a few things our top pick can’t. The most significant factor of this ball is the fact that, since it is no-bounce and tough as nails, it is great for slams and high or far throws. Another exciting feature of the XD Kevlar Ball is in the name; the outer shell is made of Kevlar. Kevlar, if you are unfamiliar, is a super strong, woven material that is used in the highest-quality body armor and bullet-proof vests. Armies use Kevlar to protect its soldiers, so it’s made to stand the test of time and hold up under insane amounts of stress. The laces on this ball are also heavy duty, as they can be an issue for other brands and come apart or come unraveled. As another measure of endurance, the weight label is embroidered, not ironed on or just an applique, so it won’t peel off in the middle of a workout or fade with age. Basically, if you want a multi-purpose ball that you’re going to use often, the XD Kevlar Ball is worth the investment. For heavy ball-work like slams, squat thrust to upward throws, overhead passes, wood chops, etc., this ball will provide a great grip and a durable shell that will keep the ball in your hands for years to come. In fact, if you’re doing primarily heavy ball-work, this is probably the best medicine ball out there for that type of training. Speaking of slam balls, the D-Ball ELIMINATOR is another great prospect if you’re in the market for one. This made-in-the-USA medicine ball features a 14” diameter, a ribbed outer layer for grip, and a rubber/PVC material. Although this ball isn’t as versatile as our top pick due to lack of handles and it isn’t quite as tough as our runner up, this is still a pretty burly ball that will last you a long time. The cool thing about the D-Ball is that it is offered weights from 10lbs to 200lbs, making this the best medicine ball for anyone looking for some serious heavy weight. For heavy-duty training, strongman training and getting some serious results, the D-Ball ELIMINATOR should be on your wish list. The benefits of strongman-type training are far and wide, with increased wrist and finger strength, as well as the building of full-body functional strength. This ball is also extremely well-suited to wall-ball training, which involves throwing the ball into a wall and catching it. This can be performed from a racked squat position, an overhand throw, and underhand throw and a diagonal throw. The tough coating on the D-Ball ELIMINATOR partnered with the ribbed grip and versatile weight range make this ball a versatile and long-lasting option for functional fitness in your home gym setup. Slam balls are a great workout, but what if you’re looking for something that lends itself more to sport-specific training, skill drills and bounce training? The Wacces Medicine Ball is a great piece of equipment if you’re looking to engage in a more athletically-based workout. This ball isn’t as versatile or durable as our top 3, but that is in part due to this ball’s intended purpose, which isn’t slams or weighted work, but instead a bouncing-based workout centered around skill movements. Workouts with bouncing medicine balls improve wrist and finger strength, improve hand-eye coordination, improve proprioceptive mobility and can get you in killer shape for your company basketball tournament or your weekly game at the courts downtown. Dribbling, shooting, touch drills, tosses and hard bounces off of the floor and wall are a way to burn calories and tone your body. These functional exercises translate to many real-world scenarios as well, so if you’re new to fitness and start working out with a bouncing medicine ball, you can look forward to better reflexes, better balance, increased mobility and all-around strength. The Wacces Medicine Ball looks a lot like a basketball, and is much like one in construction. In fact, if you closed your eyes and grabbed one of these, you’d probably think it was a basketball (despite the extra weight, of course). A durable, textured, rubber outer layer makes the ball long lasting and easy to grip. 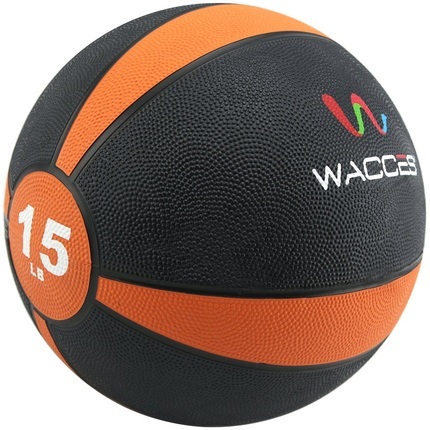 The Wacces ball is air-filled and comes in weights from 2lbs to 25lbs. For athletic strength and conditioning with the addition of sport-specific skillword, this is probably the best medicine ball to work with that will have you tearing up the court in no time. Bringing up the rear on our list is the Power Rope Medicine Ball by Power Systems. The rope through the center of this medicine ball allows for a core-destroying workout that promotes full-body strength and improvements in rotational motion and oblique activation. But if it’s so good for the core, why is this ball in last place? Well, simply put: as great as this ball is for exercises specific to medicine balls with ropes or straps, exercises that you would perform with a standard medicine ball can become awkward as the rope gets in the way. Trying to do buddy passes with a flailing rope can end in a painful whack in the face – one of the quickest ways to end a workout. However, to add some versatility to your home gym with tough-as-nails rope ball is to add another element of dynamic resistance to your workout, which can yield great results. Rope slams, twists and rotations with high weight will add thickness to your trunk and help your body condition itself to support you better during traditional lifts like squats or bench press. A durable synthetic outer with a beefy a rope will keep you rotating and performing dynamic swings and slams for a long time. This ball comes in a variety of weights, but if you’ve never worked with a rope ball before it’s better to start in a light range if you’re new to fitness, or moderate if you’re a seasoned athlete. Power Systems’ Power Rope Ball is a great addition to any home or commercial gym, and it can open up exercises and movements that would otherwise be impossible. There are several moves you can do with a medicine ball that bounces. Many of these movements are practiced by athletes to increase core and functional strength. Bouncing a ball off of a wall and catching it, shooting/passing/dribbling a medicine ball like a basketball, medicine ball slams to catch and several buddy exercises like bouncing a medicine ball to each other from an over or underhand toss utilize bouncing medicine balls. Standard, non-dynamic moves can be performed with these balls as well, as they usually have a textured, rubber exterior that is easy to grip. These balls generally come in lighter weights, as bouncing around a heavy medicine ball could be dangerous to the unpracticed hand. As bouncing medicine balls are hollow, slam balls are often filled with sand or steel shot. Slam balls are medicine balls that are meant to have no bounce whatsoever. The reason they take all of the bounce out of these balls is because, as the name suggests, they are made to be slammed. These are heavy duty balls made to take some severe punishment by way of overhead slams, woodchops, throws and other dynamic movements. Due to the nature of exercises performed with slamballs and their high-intensity association, slam balls do come in lighter weights, but these are the variety that has the highest weights available, with some balls on the market reaching 200lbs. Sometimes you have a movement in mind that you can’t do with a medicine ball because it can only be gripped like a ball. Thus the invention of handled medicine balls came to be. Medicine balls with handles have become very popular for the versatility, as you can do any exercise with them that you can do with a standard medicine ball, and also all of the exercises that you can do with a kettlebell. Some of them can even be used for bouncing exercises, making them extraordinarily versatile in terms of the amount of exercises you can perform with them. If you’re looking for the most versatility or want to explore some circuit training, this is the best medicine ball for you. Rope balls are the most recently invented kind of medicine ball, but they have been a hit among crossfit and conditioning fans. Rope balls are exactly what they sound like: medicine balls with a rope through the middle. These are really great for swinging exercises, which are very dynamic and fantastic for core strength and high-intensity conditioning. For a tough workout that will shred your abs and get your heartrate up, rope balls are one of the best tools out there. In fact, if you’re looking to strictly due sport-specific conditioning or high-intensity circuit or interval training, you can accomplish entire workouts with these rope balls, as you can use them as a standard medicine ball as well as perform exercises facilitating use of the rope. The different types of medicine aren’t the only things to keep in mind when shopping for a medicine ball for your home gym. There are several components to medicine balls that make them better or worse suited to certain fitness goals and activities. The first question you should ask yourself when shopping for a medicine ball is this: “What movements will I be doing?” Will you be doing a lot of throwing and slamming motions and need a ball that isn’t going to bounce back through your ceiling after a hefty overhead slam? If this is the case, as you might have guessed, a slam ball is going to be your best bet. If you’re going to be doing more weight-lifting movements like snatches, curls, rows, lateral raises, etc. ; a medicine ball with handles is going to be the key to unlocking those movements in your workout. How about sport-specific training or training that involves passing and bouncing? A medicine ball that is reactive and bounces will suit your purpose in this scenario. Check out this study proving that training with a medicine ball can provide greater sport-specific training improvements than strength training. Lastly, if you’re looking for a nitty-gritty workout with lots of swinging, wood chops, hammering motions and other dynamic moves, a medicine ball with a rope is going to grant you a ton of flexibility in the exercises you’ll be able to perform. The second question you should ask yourself when shopping for a medicine ball is, “How often am I going to use this thing?”. This question serves two purposes: to let you know how much you should be willing to spend for a more durable ball, and how much versatility you’ll need out of your medicine ball. If you have very limited equipment and you’ll be using the medicine ball during every workout, it will pay to invest in a super-durable ball that can take the beating. Also, in the same scenario, you’ll need a lot of versatility out of your ball to be able to perform a wider variety of exercises, so you can have a well-rounded fitness regimen to produce a well-rounded physique. The price of some of these balls can get up there, but make sure to read several reviews and read the specs about the outer coating and the fill. If you’re going to be using a medicine ball every day for slams and hard throws, you won’t want to get a rubber one filled with air; and if you’re going to be doing bounces and passes you won’t want a slam ball filled with sand. Use our top 5 list as a template, and if you don’t end up choosing any of them, pay attention to the factors that are compared and contrasted and be sure to do your own research. It will also be likely that, for your purposes, you will need more than one medicine ball. Confining yourself to one weight or specific type of ball can limit your workouts and results. One medicine ball is better than no equipment at all, but variety and intensity drive results and a complete physique, so it pays to have a good amount of versatility to your home gym equipment. Using a medicine ball in your fitness regimen has several advantages. The primary benefit of using a medicine ball with exercises you could perform with a dumbbell or barbell is the fact that your grip and wrist strength will improve, which is one of the most transferable “functional strength” skills in all of fitness, other than increased mobility. Medicine ball throws are an excellent exercise that builds core strength, as well as strength in your arms, legs, chest, back and shoulders. Medicine ball throws can be performed overhead, from a basketball shooting position, from underhand, from the side in a diagonal motion, from a seated position, overhead while laying on a decline bench, etc. Throws are great for building power and explosive strength, so if you’re an athlete or participate in any kind of sport, you’ll see performance improvement transfer over as you work more with this exercise. While throws are meant to send the ball away from you with a specific movement, slams are meant to drive the ball straight into the ground. This is a great exercise for your arms, core and latissimus dorsi in your back (the muscles on the outer edge of your back under your shoulders. Your arms, legs and shoulders are also recruited in the raising of the ball before it is slammed. This exercise can be performed straight down from overhead, diagonally from overhead or with a twisting motion to really engage the core. Medicine ball slams are real core shredders, so if you have the means to perform them without waking the neighbors, it can lead to a pretty dense six-pack with proper diet. Swings are performed using medicine balls with straps or a rope attachment built in. Overhead swings, side-to-side swings, diagonal swings, twisting swings and several more of these types of movements are fantastic for your core and proprioception. Proprioception is your comfort in all planes of motion: front to back, side-to-side and twisting. Rotational motion is the identifying aspect behind most swinging motions. Think of the best ab exercises: Russian twists, flutter kicks, twisting hanging knee raises, bicylces, etc. All of these exercises hinge their success on rotational motion’s ability to engage the entire core and shred your midsection. Swinging motions arguably transfer the most skill and functional strength out of all of the medicine ball movements. Grip strength, forearm strength as well as whatever main muscles are recruited form the exercise will all shoot up as you start doing swinging exercises. Try and perform a bouncing movement with a dumbbell and you’ll likely find yourself with a broken foot or a broken weight. Medicine balls one of the only resistance elements that can be bounced. But why? What purpose does bouncing a weight have? Reactive (bounce) training increases hand-eye coordination, and it also allows you to move through workouts more smoothly than if you had to drop the ball, pick it up, drop it again, etc. Bounces can be performed off of the floor or off of the wall and are great for incorporating your fast-twitch muscle fibers and core muscles. Let’s face it, switching equipment in the middle of a circuit can be a pain. Overhead dumbbell press to kettlebell swing to woodchops would require 2 equipment changes in the middle of the circuit if using dumbbells and kettlebells; if you use a medicine ball for the same circuit, you don’t have to change equipment at all. This not only saves you time, but it allows you to move straight through your workout and keep your heartrate up. For high-intensity circuits or interval work, maintaining a steady pace is important, and the use of a medicine ball can ensure that you aren’t interrupted while sweating it out. 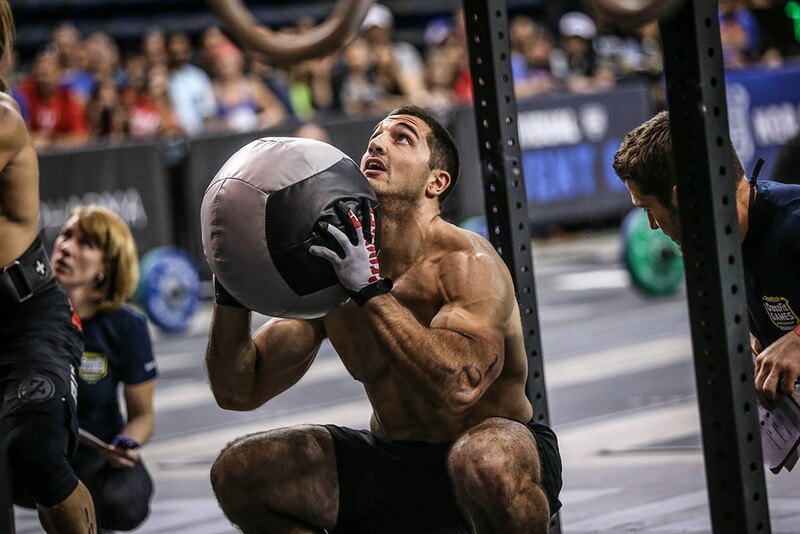 Medicine balls are one of the most versatile fitness tools out there. If you’re collecting equipment for a functional and effective home gym, a medicine ball is an absolute must. 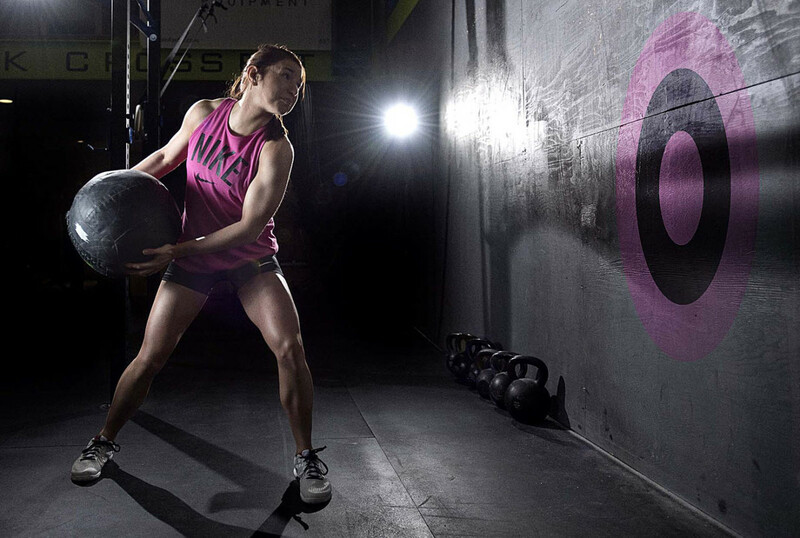 Whether you’re looking for a bouncing medicine ball, a slam ball, a roped medicine ball or a medicine ball with handles, our top 5 will have you covered. Dynamic, explosive movements partnered with balance work and traditional lifts and conditioning can be achieved with medicine balls and get you on track to a shredded mid-section, increased cardiovascular capacity and toned muscles. If you have a home gym without a medicine ball or two, do yourself a favor and pick one up – they’re just the thing to take your workouts to the next level.